Hundreds of sweetlips and other schooling fish in the current. Irian Jaya, Indonesia. Nikonos V, 15mm lens, 2 YS-300's manual. 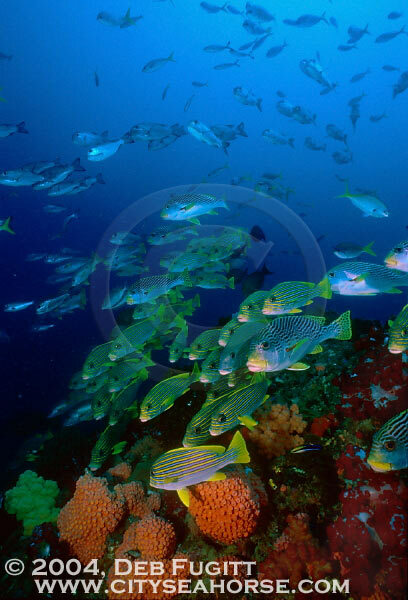 Raja Ampat Diving Photos.